“You’ll have to ask your parents.” That was all Aunt Rose would say when we rushed downstairs to ask her about the strange image of a baby. She was in the kitchen putting away the breakfast things, her back to us. I saw her lower the cup she was holding and place her hands on the counter top to steady herself. “I never should have left you alone up there,” she said. On our first night home in Florida, Mary Ann and I confronted our parents. Daddy had just settled into his recliner, where he sat every night to watch TV, and Mom was on the far end of the sofa, leafing through Look magazine. Mary Ann and I, walking hand-in-hand to the living room, were moments away from changing everything we thought we knew about our family. Mary Ann started by explaining how we’d found the x-ray and how Aunt Rose wouldn’t tell us anything—but that we knew it was something important. Mom put down her magazine. She and Daddy exchanged glances. At first neither of them spoke, but then our father mumbled something about there being a mistake and he didn’t know why an x-ray of a baby with this name was in the trunk. It must have been clear we didn’t believe him. He looked at our mother, as though to ask her permission, then he gripped the armrests and began. My sister and I sat quietly on the couch. My hands began tingling, the same sensation I had at church on communion Sundays when I grew faint from hunger and heat. Our mother said nothing. She stared straight ahead, as though she was apart from us. Then she stood up and walked away, into their bedroom, and shut the door. I wanted to follow, but I couldn’t move. My sister and I did as we were told; we never spoke of Charles in front of our parents. But when we were alone we imagined him as the big brother we’d never had, and he was with us everywhere we went that summer. In my private moments I dwelled on images of abandoned Charles, picturing him in a dark and bleak place, beds lined up in a terror version of the Madeleine stories my mother had read to me as a child. Was I blaming my parents for what had happened? I couldn’t. How hard it must have been for them. My misgivings were silenced by their misfortune. After that summer, when Charles took up so much of our imagination, Mary Ann and I rarely mentioned him, and he became a shadowy presence. But a few years after our father died, our mother grew frail with Alzheimer’s, and she began to speak of her forgotten son. “I saw a Mongoloid boy on TV,” she said one day. “They call it Down syndrome. They didn’t in my day, though, and the kids stay at home now.” I wondered if she were feeling renewed regret. “Mongoloid kids are sweet,” she blurted out a few months later when I was busily tidying up her living room. “Anyone will tell you that. Charles was sweet. We gave him up, but,” and then she paused. “But he was my son.” My mother, who hardly ever wept, began to sob inconsolably. I knelt by her side, gently holding her hand. When I called the Staten Island office, the woman who answered the phone wouldn’t even confirm that Charles had been there. “You must make a request in writing to our director. He will decide,” she said. After trying with no luck to get the death certificate, I called the headquarters of the Office of Mental Retardation and Developmental Disabilities and spoke to their attorney. “I need an exact date of death. I want to visit my brother’s grave,” I told her. Since I had been making phone calls and writing letters to state offices, she had been expecting to hear from me. “November 22, 1950,” she said. It appeared that in spite of Privacy Rules, information was releasable as long as it was given out in tiny morsels over many weeks of persistent questions. I filed for the death certificate. A month later, a white envelope from the New York City Office of Vital Records arrived. As I held it, I imagined it as the shroud covering my brother’s remains. With a deep breath I opened it and scanned the sheet for cause of death but found only a statement that Charles had died of natural causes. I looked for the name of the cemetery, but I couldn’t make out the handwritten scrawl. In time, though, I was able to decipher two words, “City Cemetery.” My brother was at New York City’s Potter’s Field. Where the unclaimed are buried. I all but crumbled the paper, but then I glanced at the watermark, reminding me that I might yet need this official document. I placed it on the kitchen table and gently smoothed it out. More than ever, I wanted the files from Letchworth Village and Willowbrook, still denied me. After several phone calls, I learned that I needed a court order to get my brother’s medical records. Then the request had to be approved. Having reached total exasperation, I realized I had reached a dead-end with the state system: It was time for legal help of my own. The attorney I called agreed to work pro bono and came up with a solution that no state official had suggested: Instead of a court order, I would be appointed the administrator of Charles’ estate. Clearly there was no estate, but with the appointment, I would be entitled to his records. This strategy worked. Several weeks after mailing my appointment papers, copies of the death certificate, and copies of my birth certificate to show my relationship to Charles, the long awaited documents began to arrive. The first large brown envelope I received came from the Hudson Valley ombudsman, containing the case file from Letchworth Village. I took the papers to the living room, sat down, and began to read the Physician’s Notes. 2.22.39. Charles Perretti, Preliminary Psychological Classification: Imbecile, I.Q. 40. I could not help but think of my mother and her last memories of Charles. 3.26.1945. Small boy. Does not talk. Requires close supervision, is mean to other children. The toddler who once said “Mama,” does not speak at all. Each year thereafter, the notes describe a boy increasingly difficult to manage. He is destructive, scratches and bites, tears at the bed linens. By the time he is thirteen, he goes to the infirmary after having received “a blow to the face,” knocking out two of his front teeth. Cause of injury unknown. I put the pages down. All I could see was Charles, alone, unable to speak, to explain. Who was there to protect him? I picked up the report again only to read what in time would prove to be his death sentence. 6.13.1950. Transferred on this date to Willowbrook State School. While my mother, father, sister, and I were in Miami, in the family Chevy enjoying our summer, the once alert, attentive boy with promise was put on a bus to Staten Island. On the first page of the Willowbrook case file was a picture of a real boy, Charles, looking up at the camera, his face fearful, as though about to cry. His hair was short and dark, his eyes brown, as best I could tell in this black and white, slightly blurred photo. He did not look like a stranger to me. I was grateful—to have this picture after nothing. Once again I began to read. Ward Admission Record, Charles Perretti, June 13, 1950: Nutrition good, cleanliness fair, vermin apparently none, no infectious diseases, temperature 99.4, weight 85 lbs., height 4’ 4”. He was healthy, but small, I thought, not yet knowing what was to come. On June 30, 1950, he was transferred to the infirmary, because of “multiple furuncles of the buttocks,” treated with daily sitz baths. There were detailed weekly reports of his stay. The first report describes his appetite as good. He appears “happy” and is sleeping well. For nearly three weeks, these notes attesting to his wellness continue, but he had lost nineteen pounds since his admission date. On July 17th, he was declared “recovered,” released and sent back to his ward, where by November 15th his weight was fifty-eight and a half pounds, down over twenty-six pounds from his admission weight. There were no new medical notes until November 18th, when he was again transferred to the infirmary because of high fever and diarrhea. Then I came to the end of the medical documentation. November 21st, awakes at intervals, cries as if in pain. November 22nd, respiration shallow, pulse imperceptible. Patient expired at 1:00 a.m. Direct Cause of Death, Acute Peritonitis due to ruptured appendix. I pictured his emaciated, naked body being pushed into a drawer, and I was left wondering how Charles, who had clinical notes made on a daily basis during his last and final admission to the infirmary, could slip so easily through the professional fingers of the doctors and nurses that were all over his case file. I turned out the light and for the next few hours sat in the dark, knowing all there was to know about Charles but in truth knowing so little. Would the real Charles always be kept from me? My efforts to find him had left me empty. The only thing left to do now was to say good-bye. On the morning I ferried to Potter’s Field, the air was crisp and the sky clear. It was more a day for carefree sailing than for going to Hart Island. As I was parked the car outside the Department of Corrections gate, I saw a tall, imposing man standing by the ramp to the ferry. It was the public information officer, who would be my guide. I gathered my purse and a brown bag holding a foil-wrapped stem with three rose buds—to signify mother, father, and child—and the prayer I would read. Before we boarded the ferry, the officer explained that these closure visits, as they were called, were the only way for non-workers to gain access to the island. There were no other passengers that day. The burial detail, made up of inmates from Rikers Island, had gone over earlier with their cargo, the faint traces of which still permeated the air as we boarded. I began to feel dizzy. As we stood in the wind, I took a deep breath, hugging my jacket closer to me, and lifted my face toward the sun, hoping for its warmth. Soon the dock appeared and two attendants quickly secured the ferry and lowered the ramp. We walked onto Hart Island. This once thriving village, now abandoned by the living, lay crumbling—the road cracked and rutted, buildings covered by trees, and vines reaching into and out of empty window panes. The officer guided me to the first of the memorials we were to pass. I walked up several steps to a platform lined with benches and bordered by a white wooden rail. Beyond the deck was a headstone. I could just make out what was engraved there, commemorating those interred who had no markers of their own. on the ground as you do. We are with the father. As we continued walking in the direction of the sea, I spotted a sprawling oak, spreading its branches like wings. “That’s where I want to go,” I said, lifting my voice over the sound of the surf. Under the tree, I found a soft spot of earth and planted the rose stem with its three buds. “This is for you, Charles,” I whispered. I began to read the Prayer for the Forgotten Dead: O merciful God, take pity on those souls who have no particular friends and intercessors to recommend them to Thee . . . Looking out over the island in all directions, I wondered where my brother’s remains truly were. A gull flew overhead. I saw the sky and the sea and became aware of the beauty of this quiet, tranquil place. I pulled a leaf from the oak and held it in my hand. You are here, Charles, I said to myself—in this field, this soil, this tree. You are not forgotten. You are with me, Charles, and I will keep you always. 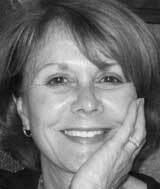 Jean Moore has been a college English teacher and a corporate executive in education and training. Now retired, she has returned to an early passion, writing. Her work has appeared in newspapers, magazines, and literary journals. She has recently completed a memoir about her family and currently is posting weekly installments of her novel, Water on the Moon, on her blog at www.jeanmoorewrites.blogspot.com. View More: Next piece "Red Shoes and Milk Baths", Home, Archive.